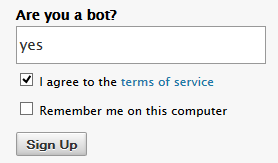 Allows you to add a question to the registration form to deflect spam bots. 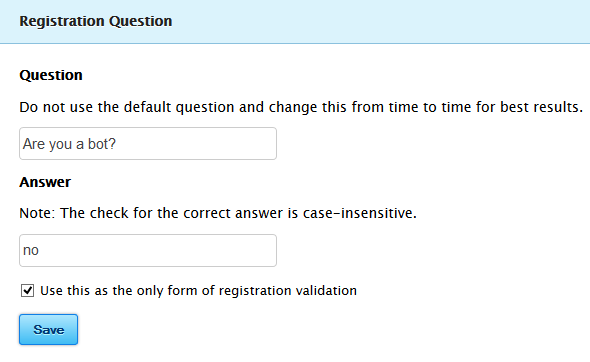 Note: You will need to re-enter your question in the settings because the config keys have been changed in version 2.0 . Redistributed by @Bleistivt with permission.